I really had a lovely week last week at Mexico. We celebrated our 5 year wedding anniversary, went out to Isla Mujeres on a catamaran, check out some ruins at Tulum, had a free upgrading from The Mayan Palace to The Grand Mayan, eat, drank and finished the week with an awesome Cirque du Soleil show called Joya that is only there to see. I've saw and met some unique people. It was really one of the best vacation I've had but must I say I really missed posting on the blog. So today no Monday Blues, just Monday Happiness. Today we going to seek out some blue in a room. I've painted two walls in my home a dark grey blue color and I've painted it again in our office (yes I know, picture will follow soon). So lets see how the blue will not give you the blues. I just love this blue (teal) wall color. The yellow chair just pops out and how amazing is this dresser. Just a lovely space, don't you think? How do you like these Monday Blues? Just makes your week go blue with a smile. Do you have blue rooms in your home? 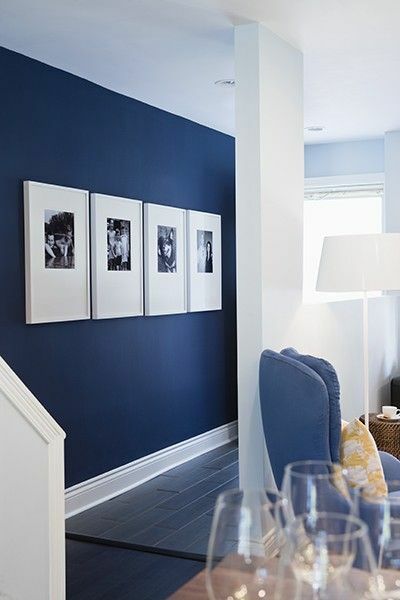 For more ideas for The Blues in your home, check out my pinterest.